Saws & Slaws was awarded by BoCo Strong in September 2015, as one of two commendable Community Resilience Projects who are actively engaging in building community, anticipating risk, taking actions to limit impact of flood and forest fires, and bouncing forward rapidly by adapting and learning in the face of disruptive shocks and stresses. 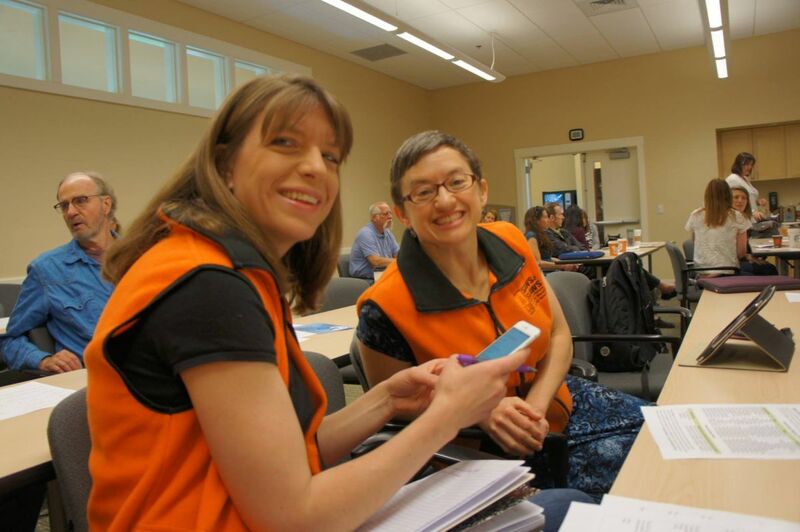 This has opened the door for Saws & Slaws to partner more closely with not only Boulder County government, but also with multiple other Boulder County community volunteer organizations focused on community and personal resilience for county residents. On Friday, May 13, 2016, Saws & Slaws was represented by Cesar Gellido, Jody Dickson, and Rebecca Jessep at the BoCo Strong Quarterly Meeting, where the focus topic was titled, “Fire! Water! People!”, and themed around people and place, communities, and their environments. Speakers included Jim Webster, Wildfire Partners; Cesar Gellido, Saws & Slaws, Maya MacHamer, Fourmile Watershed Coalition, and Cecily Mui, St. Vrain Creek Coalition. Following the speaker presentations, there were two rounds of four different breakout sessions led by the four representing organizations where critical topics were discussed and ideas were shared. Saws & Slaws focused on building and sustaining engaged volunteers to continue to support and grow the organization. There was also discussion on private investment in environmental mitigation and using assessment studies in program planning. Saws & Slaws is currently, and will continue to be, actively engaged with BoCo Strong and WildFire Partners to partner and build community, connection, and support, as well as providing support to mountain communities in need of fire mitigation. Please consider reaching out to Cesar Gellido, Jody Dickson, and/or Rebecca Jessep to get involved in this community effort.